Lupicia has a special reputation among my tea friends. Their blends are considered extremely well-balanced, which shouldn’t be surprising since this company is from Japan, where you’d expect they’d know a thing or two about making good tea. What makes Lupicia really notable, though, is how hard it is to get in Canada. Rather than paying directly for shipping once you reach the checkout, you have to wait for them to contact you with a special shipping quote after you finish your order. Imagine my pleasure, then, when a representative of Lupicia contacted me to ask if I could review a few samples. How could I say no? Aside from the occasional piece of hard candy, I’ve never actually tried anything with yuzu in it. A type of citrus, yuzu is widely cultivated in Japan and Korea, and this yuzu green tea blend from Lupicia contains sencha tea mixed with pieces of dried peel and other flavourings. The dry leaf is a deep green colour with flecks of dried yellow-brown peel dotted throughout. Not surprisingly, the base tea is sencha, and the leaf is roughly the colour and shape of finely-textured grass clippings. The scent was less predictable. 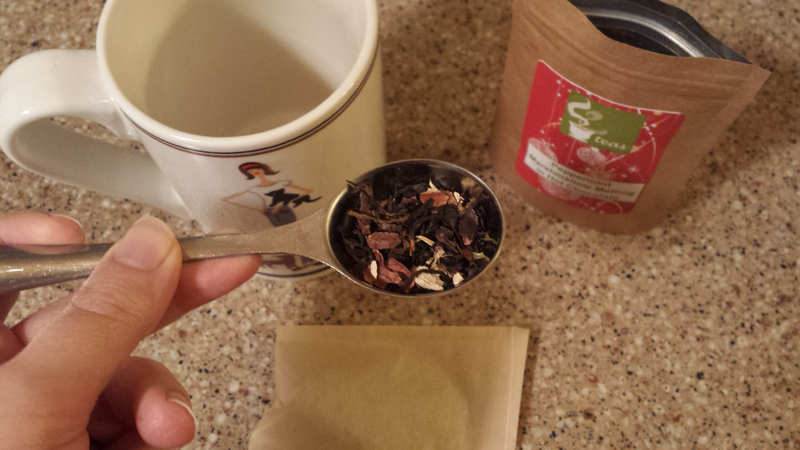 The base tea had a slight umami, marine aroma to it. However, the scent of the yuzu caught me off-guard. It was definitely citric, but instead of the rich, candied juiciness of lemon that I expected, it was sharper and a bit thinner. It reminded me, somehow, of cold wind sweeping over a meadow — the thin, bracing keenness of it. I also detected a hint of something sharp like mint. 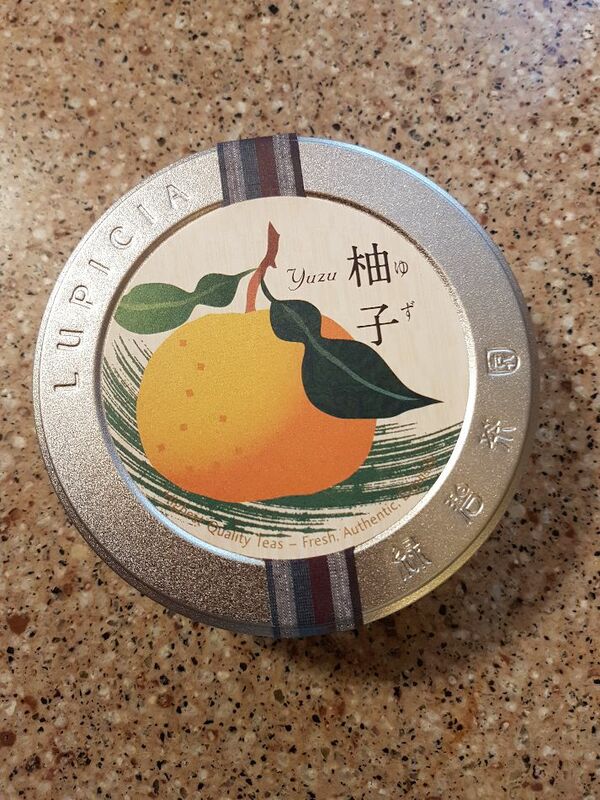 Aside from the scent of the yuzu, what surprised me when I opened the tin were the steeping instructions included on a little sheet inside. The instructions said to steep 2-2.5 grams of dry leaf in 5 oz of BOILING water for 1.5-2 minutes. That seemed like an awful lot of leaf for a small amount of water. 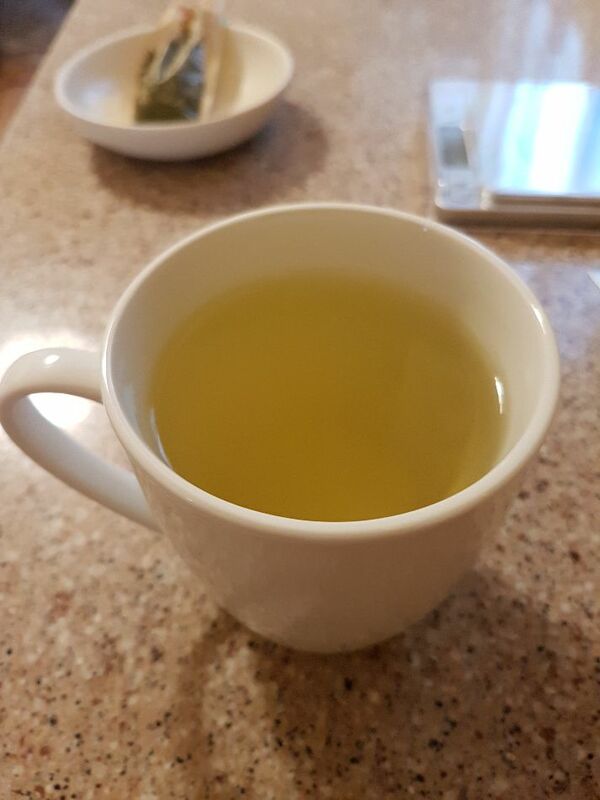 This is typical for brewing Japanese varieties of green tea, especially gyokuro, but I don’t normally brew Japanese teas according to an “authentic” method. Second of all, boiling water? Whoa. 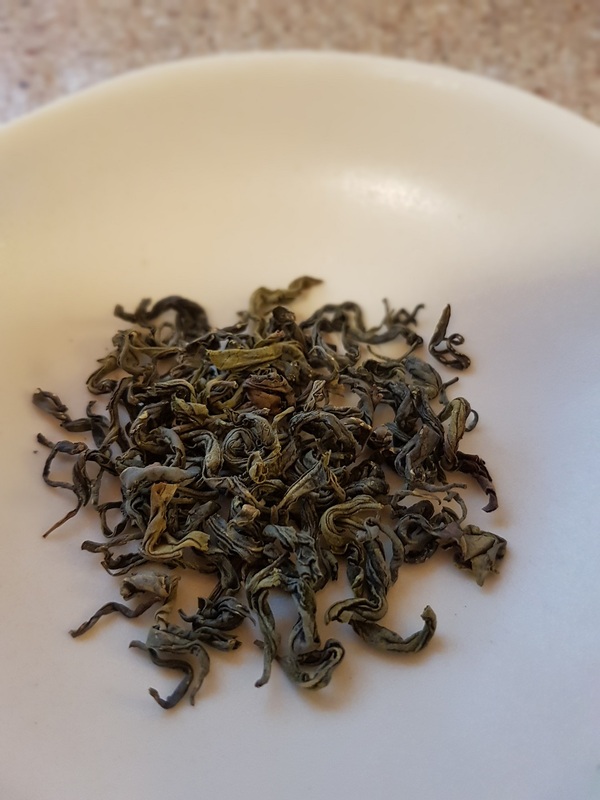 I usually brew green teas around 80°C so they don’t get all astringent, so the idea of using straight-up 100°C water for brewing this variety really threw me for a loop. 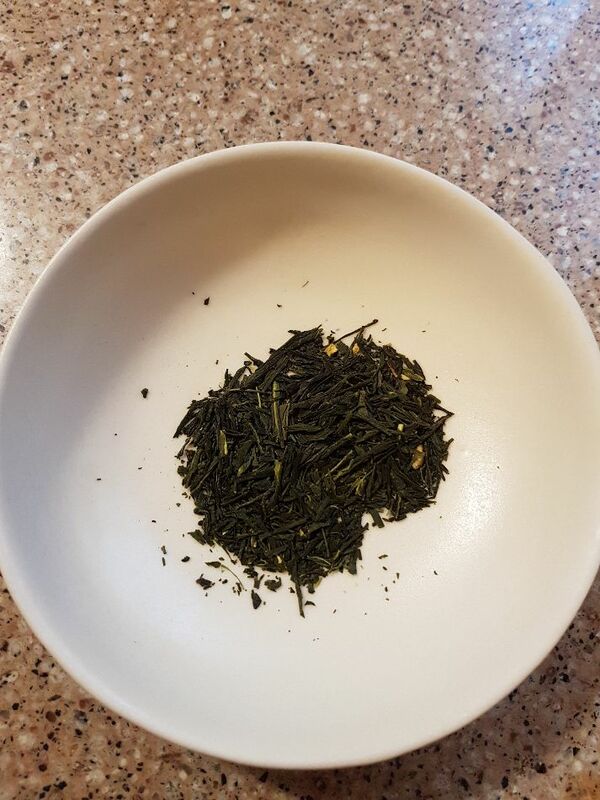 I decided to split the difference by steeping the yuzu green tea with the recommended amount of leaf at the recommended temperature for the recommended length of time and using 8 oz of water per cup rather than 5 oz. 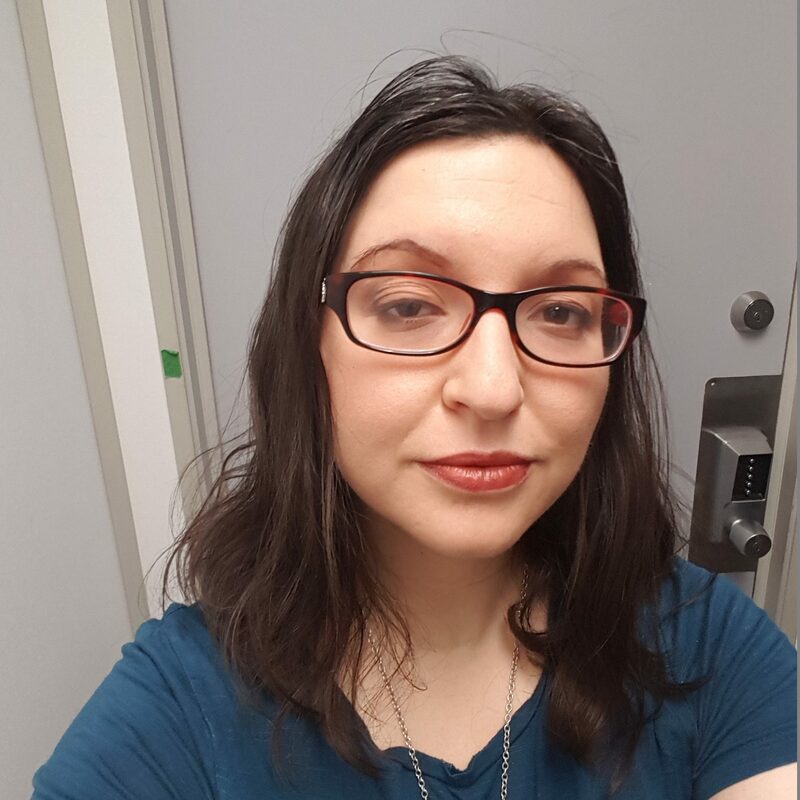 And truth be told, it turned out pretty well! The resulting brew was a sunny yellow-green, reminding me of tender shoots of grass or the heart of green wood inside a tree branch. I was expecting it to taste harsh because of the brewing temperature of the water and the sharp scent of yuzu peel — but I was pleasantly surprised. The depth of the sencha leaves blended perfectly with the citrus, resulting in a tea that was well-balanced and smooth on my tongue. The yuzu flavour showed up mostly in my soft palate and sinuses, while the base tea flavour was strongest on the front and sides of my tongue. Most importantly, the mouthfeel was clean and clear, with no astringency. I consider this yuzu green tea from Lupicia a success! In addition to samples, Lupicia has also generously provided something extra: a bonus offer for you readers! All readers who order from Lupicia USA and enter the code “Books” in the comments section on the checkout page will get a free surprise with their order. So take a look!